Bed bugs are extremely difficult to get rid of, but it is possible. Even better, it’s advised to avoid them completely if you’re able to. If you do happen to get them, follow the advice below. But first: take a deep breath, approach this with full confidence, and be prudent. The first thing you need to know about bed bugs is that they like to hitch rides in clothing and luggage. It doesn’t matter how clean or dirty a hotel room, house or building is. If there are people to feed on, bed bugs will thrive. The bad news is that ever since people have been more internationally and domestically mobile, so have bed bugs. 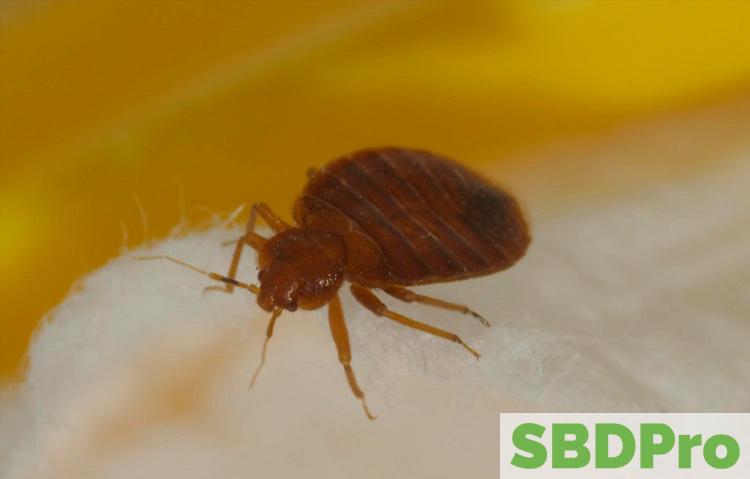 You need to inspect beds in hotels and anywhere else you travel to be sure you don’t bring bed bugs home with you. They look similar to a tick; about one-fifth of an inch long, but they can increase by six times their original size after they’ve gorged on blood. You may have heard or read the advice to stick your pillow in the freezer for 24 hours. This will do little good, as bed bugs can tolerate below-freezing temperatures for long periods of time. However, they cannot tolerate heat. In fact, bed bugs die when the temperature reaches 113 degrees Fahrenheit. This means that you should wash your bedding in the hottest water setting possible and dry your bedding on the highest heat setting possible. Diatomaceous earth can be a lifesaver. It’s a white, powdery, natural type of soil that is comprised of fossilized diatoms (tiny, aquatic organisms). These diatoms’ skeletons are made up of silica, and it’s this silica that works to kill insects by causing them to dry out. Their death is technically caused by the silica absorbing the fats and oils from an insect’s exoskeleton. Beyond bed bugs, diatomaceous earth also works to kill crickets, ticks, spiders and fleas. Better yet, you don’t have to worry about your pets when using diatomaceous earth as it can be mixed into pet food to naturally kill worms and other parasites–as long as you make sure you’re using food-grade. To use diatomaceous earth to kill bed bugs, sprinkle it on your mattress and your carpet. Wait for as long as you can and then vacuum it up. Bed bugs can live without food for over 400 days, which means the encasement you choose for your mattress cannot tear or otherwise damage for well over a year. Be sure to choose a casing that is specifically for bed bugs. You’ll need one for your mattress and one for your box spring. For good measure, before you enclose your mattress, sprinkle some diatomaceous earth on your mattress and box spring. If you don’t like the idea of using a mattress protector, research bedding options like wool that naturally repel bed bugs. It’s wise to declutter your home because bed bugs like to hide. Storing things under the bed, while a popular space-saving option, provides ample space for bed bugs to thrive. To ensure you aren’t helping bed bugs extend their life, use containers that can be securely sealed shut. Additionally, if you are storing containers under your bed and find bed bugs, be sure to clean the contents of these storage bins to ensure bed bugs aren’t hiding in them during your extermination. Vacuuming is a good way to eliminate the bugs and eggs that you can visibly see. Vacuum all surfaces: on the bed, in crevices, and under the bed. Make sure that you thoroughly clean your vacuum canister or change the bag before moving the vacuum to another section of your home to avoid further contaminating or contaminating your home. Bed bugs don’t carry diseases, but it’s still gross to think of them coming out at night to feed on blood. The good news is that you can outsmart them. Follow the tips listed above, and you should be fine. If worst comes to worst, you can hire a professional for your bed bug problem. After you’ve eliminated your bed bug problem, or before one ever begins, smart prevention is always the best move. Start with the source: bedding. On top of its many other benefits as an organic bedding option, wool bedding naturally repels bed bugs. Never worry about bed bugs again and sleep more soundly at night knowing that your bedding is doing all the work for you!